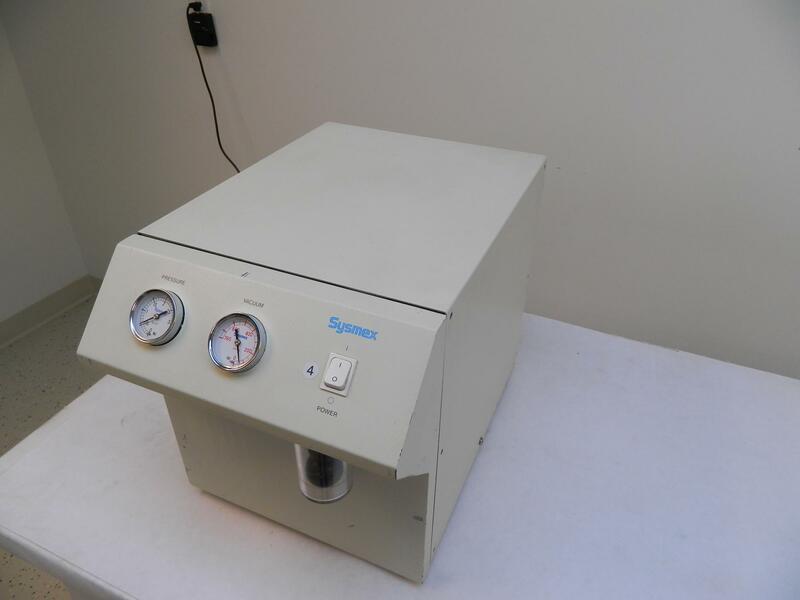 Sysmex PU-13 Pnuematic Pump/ Vacuum Unit . New Life Scientific, Inc. This is a used pump that was acquired from a US Laboratory, It is in excellent functioning condition and has some minor cosmetic flaws. While New Life Scientific takes many steps to ensure that our instruments are in perfect working order we cannot ensure that all products are up to manufacturer specifications. For this reason, we offer a 30-day warranty on all of our working products in the interest of maximum customer satisfaction.